First, the main purpose of the paper display is to promote a better product advertising, so it is worth promoting. The image which is printed on paper display is flexible and can be customized to meet the propaganda of the product, and the colorful picture can catches customers' eye. Second, the paper display can be disassembled and assembled, which is very convenient for transportation. It can save logistics and storage costs as its small size of package. Third, the materials used in the paper display are green and environmentally friendly, which is meeting the requirements of global environmental protection and recycling of resources. 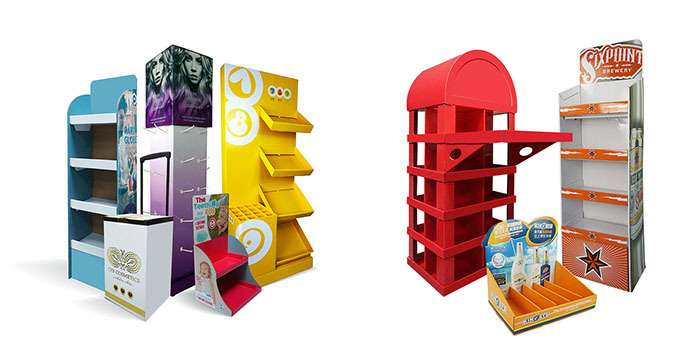 Compared with other materials such as wood, metal, plexiglass display racks, etc., paper display is more flexible and attractive. It is an important channel for the promotion of short-term promotion and marketing in today's information age. It can effectively raising public awareness of the brand.